Seamless, solid core PMMA construction makes the VIGO Wisteria Matte Stone Vessel Bathroom Sink extremely durable. Its surface is scratch and fade resistant, and is easy to keep clean with the included buffing circle. 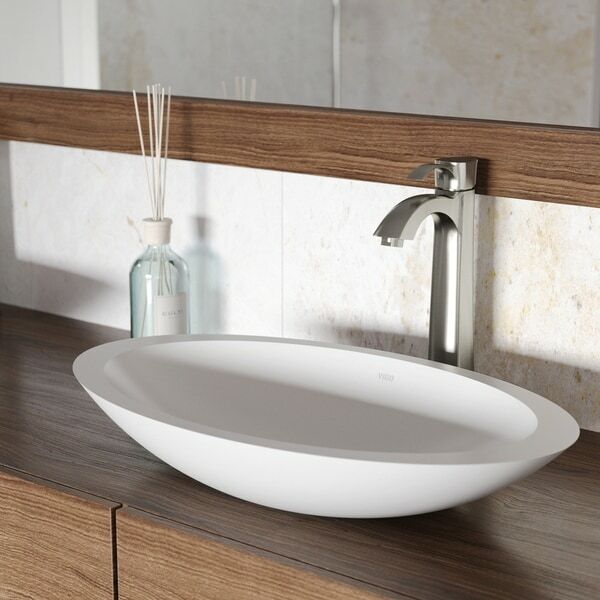 With an oval design and satiny smooth Matte Stone surface, this vessel sink makes a statement of modern elegance in any bathroom. Dimensions 23.13 In. X 13.5 In. X 3.88 In.